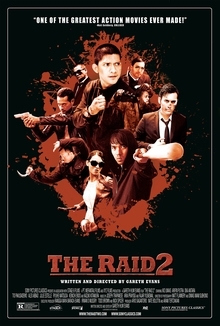 The most talked about sequel for action and martial arts movie fans finally arrived this year with Gareth Evan’s follow up to The Raid, titled unsurprisingly, The Raid 2. The same star is leading the action and I was eager to see how they could top the previous excellent outing. After fighting his way out of a building filled with gangsters and madmen, rookie Jakarta cop Rama thought it was done and he could resume a normal life. But to protect his wife and son he must go undercover with the thugs of Jakarta and plans to bring down the syndicate and uncover the corruption within his police force. A short synopsis for a long and epic story told with style and a much bigger budget. The film takes its time telling the story of the brutal underworld of gangster running the city and the politics involved in trying to keep the peace between rival organisations. It has a much more open feel to it compared to the claustrophobic nature of the first film. The acting is excellent throughout; Iko Uwais has matured a lot as an actor the supporting cast give there all but it’s the brutal action set pieces that people will remember after the film has finished. As far as the action goes the director takes the first films and turns it up to 11, you will be hard pressed to see a more violent and bloodthirsty film this year, using knives, baseball bats, hammers as well as deadly empty hand Silat techniques it really is an assault on the senses. The last hour is almost nonstop starting with a fabulous car chase and finishing with an amazing one on one battle to the death. The good thing is that the long running time, nearly two and a half hours, lets you explore the characters and the motivations behind what they are doing. Gareth Evan’s has certainly matured as a director and I look forward to his next film with great interest. Are there any faults? Well yes, the running time is a little too long and the violence is just a bit too much at times. By the end of the film, you feel numbed by it. Less is sometimes more and this just seemed a little too much for my taste. Is it the best action film ever as the poster states? Well no it isn’t but its certainly high on the list for action junkies everywhere. 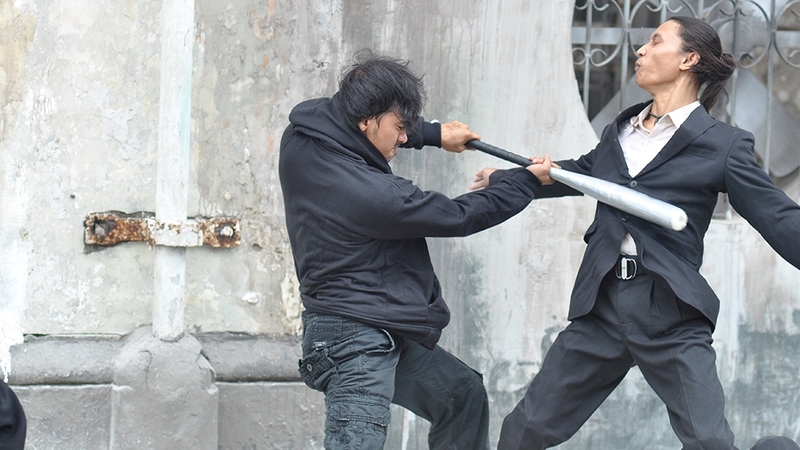 But overall The Raid 2 is definitely the action film of the year so far and fans of the first should seek out the DVD or Blu ray and add it to their collection immediately.